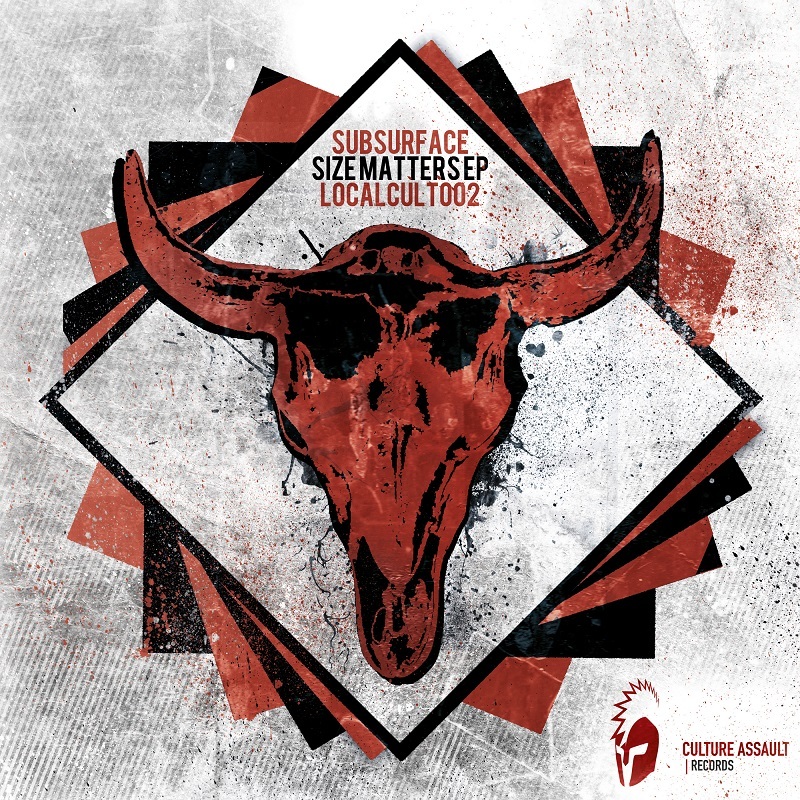 LOCALCULT002 - SUBSURFACE - SIZE MATTERS | Joomla! Appearing on the second local release of Culture Assault's LOCALCULT002 series is the very wellknown Dubstep and Drumstep act Subsurface. The Mini EP Size Matters (what a suggestive title for those who know about) comes with a fresh completely homebacked soundrange something between Dubstep, Drumstep and tiny overtones of Deathstep. Stefan, the mastermind behind Subsurface Productions, opens this free downloadable record with a cheesy melodic Deathstep-like 174bpm Drumstep tune. Brontide is heavy yet dancefloor friendly. With the second track Smoke the EP draws more from proper piano roll crude Dubstep than cheesy Drumstep. The EP's closing track reveals a more nuanced sense of dancefloor feeling. The warm lead synth tone shifts into hard hitting Brostep and snare business. Yet, it still sounds unmistakably like Subsurface. All in all a rocksolid release from a local artist which is not 100% matching with our normal output sound, but 100% matching in the aim to work hard on imrpoving the local scene in our tiny alpine bugger lands. Let's tear down those boundaries!